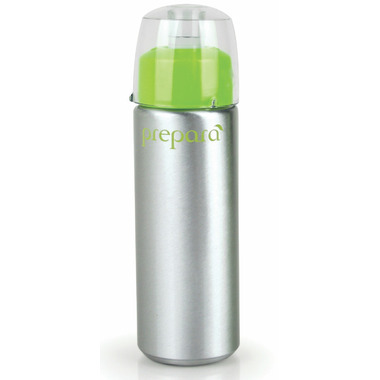 Prepara Gourmet Oil Mister is simple to use. 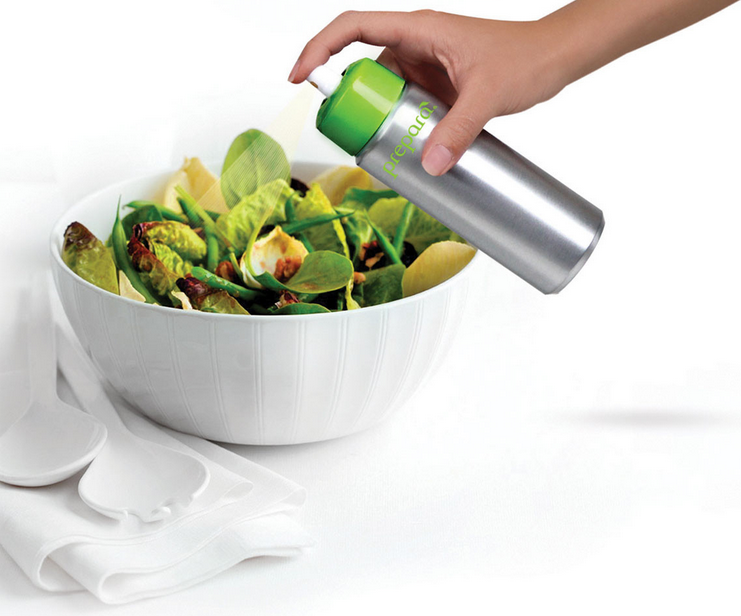 Just pump to pressurize the canister and then spray a continuous fine mist of oil with the touch of a finger. Built-in, clog-free filter works great with olive oil, vegetable oil and balsamic vinegars. I bought this as a gift. I will buy it for myself too, when itâ€™s back in stock. Love the idea of reusable, non plastic container. This is a great tool in my kitchen. I've owned one many years ago and it didn't work very well. This one works and does what I need it to. I've been wanting to get an oil mister for a while, and I chose this one because of the aluminum body because it won't leek or leach plastic chemicals. I've used it several times so far, and it works quite well. It gives a nice even spray and the pump works well. I definitely recommend! Absolutely great - just pump and mist! Get just the right amount of oil! Works great! Nice even mist. I was sceptical. This works grea! Love it. Very happy with purchase.